Home » STORES » AMAZON » LOWA UNISEX POLICE BOOTS – new price! 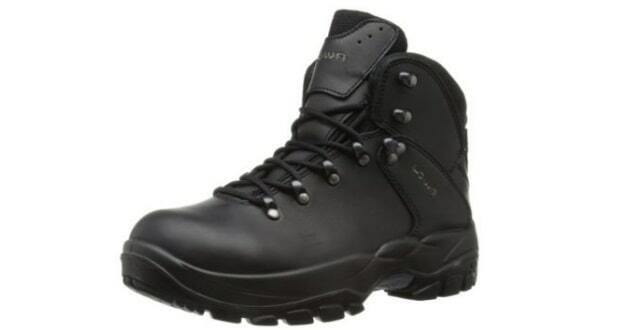 LOWA UNISEX POLICE BOOTS – new price! Well Built and Well worth the Money! These Boots are one of the best pairs we have seen. They are very robust to withstand the daily routine of police officers, PCSO's, Specials and all Police Staff. Lowa are a great brand which is worth investing in. Get these now and you won't be disappointed! Get up to 30% discount, depending on the size of Boots. Great Boots made with great quality and comfort. Buy today and also get FREE delivery. If you have read our Police Discount Offers Facebook feeds you will know that a lot of Police Officers, PCSO’s and Special Constables use the LOWA Brand of Boots. There are renowned world over as one of the best patrol boots around with great quality and build in their boots. These LOWA POLICE BOOTS currently have up to 30% discount depending on the size you choose, plus FREE delivery. You will see that they are more expensive than say Magnums, that’s because they are built a lot more robust and made to last longer than the cheaper Police Boots. These Boots will probably last you a few years, whereas other boots will only last 12-18 months. These brand of Boots are also issued to specialist Officers in certain Forces around the UK. You can also check out the latest Lowa Patrol Boot Discount here. Had a pair of these for over a year. Really good for work and comfortable. Great purchase.